Share the post "How to Apply the Perfect Primer"
Over the last several years more attention has been given to primers and the need to get the face “ready” for makeup. Whether it’s a BB or CC cream, a primer, or even a tinted moisturizer, this step is critical for creating a look that lasts all day and night. Start by prepping the canvas. Wash your face thoroughly with a skincare product specific to your needs, for example: if your skin is oily you will want to look for a product that contains benzoyl peroxide or salicylic acid, if your skin is dry you may want to opt for a gentle exfoliator instead. Rinse off the product completely, pat dry and apply toner making sure to work on the oily spots and dry patches. Follow with a moisturizer specific to your skincare needs, heavier in the winter months when skin is dry and chapped, and lighter in summer when the air is heavier and humidity is high. Be sure to apply to moist skin and allow some time for it to evenly penetrate the complexion. If you find shiny spots on the face, use a tissue and pat to remove the excess cream or lotion. 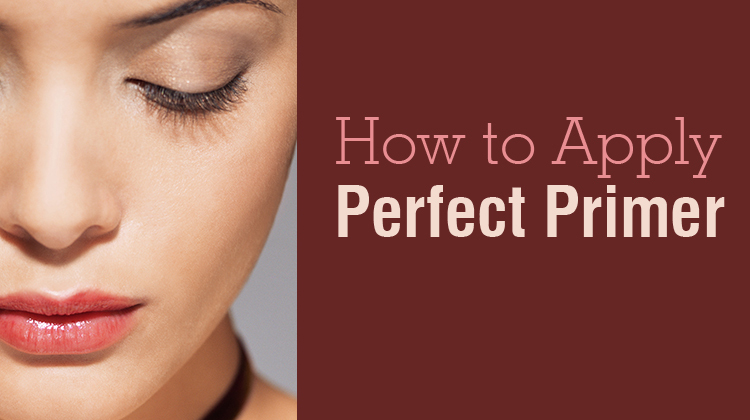 Next, select the perfect primer. If you have trouble skin or are prone to breakouts you may want to reach for a BB cream. BB, which stands for Blemish Balm, is an all-in-one product that combines serum, moisturizer, primer and foundation. If you have aging skin, you may want to reach for a CC cream. CC stands for Color Correcting and typically contain light deflecting particles that help combat redness or sallowness in the skin. Or, if you’re a purist, reach for the straightforward primer, designed to help your makeup stay on your skin evenly without moving or creasing throughout the day. One of my favorite tricks for a primer is to store in the refrigerator. This keeps the product cool allowing it to help calm down your skin after washing in the morning. Begin by applying the primer to your skin with a sponge or your Color Me makeup application device, buffing into place. Top with your foundation – liquid or powder – a dab of blush and a swipe of lip gloss and mascara for a natural yet full-coverage look. If you’re in a pitch for time, or need less coverage, mix equal parts primer and foundation together, blending onto the skin as you go. This allows for a dewy and natural look that simply needs a swipe of highlighter on the cheekbones for a glowing complexion. Last but not least, be sure to stay away from too much caffeine or coffee once you’ve applied your makeup. The drink has oils which can effect the skin and make it look red and blotchy in a few hours. Instead opt for some water with lemon or cucumber slices for flavor and hydration. Keeping your cool will always help your look stay flawless and fresh. Co-Founder and Chief Retail Executive Officer,Color Me. A veteran of the beauty industry, Eric has been considered one of the foremost authorities in skincare and color for over 25 years. His most recent venture, Color Me, a new device designed to help women flawlessly apply foundation, is set to revolutionize the way complexion is approached. Eric’s introduction to the beauty industry was at age five, when he would accompany his mother selling Avon products. After a brief foray into the accessories world, where he created cowboy hats coveted by some of the biggest names in Country Music, Eric jumped into the beauty business. Initially working with niche luxury brands, Eric went on to launch Crème de la Mer. After nailing the basics of luxury skincare, Eric turned his attention to color. In 1995 he joined then fledgling makeup brand, Benefit Cosmetics. During his ten years with the company, Eric grew to become Executive Vice President of Sales and Beauty Ambassador for the brand, turning many of the products into household names. Looking for something a bit edgier, Eric leveraged his skills in retail and product knowledge to become the Chief Retail Sales Officer Worldwide and Global Makeup Artist for Urban Decay. There, he spearheaded new product launches and brand initiatives, not to mention prominent press events, red carpet premiers and fashion shows. Eight years later, after witnessing countless women struggle to achieve an airbrushed look without the tools or know-how, Eric presented an innovative new product concept to his friend, now business partner Leah Ashley. From there, Color Me was born and is redefining the way we apply makeup. A credit to his industry Eric has been featured in prominent publications such as Vogue Singapore, Prestige Magazine, Grazia France, Harper’s Bazaar Singapore and Straits Times, as well as on broadcast outlets including ABC, NBC and Fox. When he’s not traveling the world or working on new beauty innovations, Eric enjoys Latin dance (in fact, he was once an award winning dancer), cooking, collecting art and spending time by the water in Newport Beach. He lives in San Francisco, California. Good job. Please keep me up to date with z new products thru email.